How many times have you paused and wondered what is in your tap water? One sure fire way to know what is flowing in your tap is by checking the National Tap Water Quality Database. The National Tap Water Quality Database is the largest database of the quality of drinking water all over the United States created by the Environmental Working Group. This came about as a result of the compilation of over 22 million records of drinking water tests conducted by state water facilities throughout the country. The EWG found out that tap water in the United States is contaminated with over 300 contaminants, more than 50% of which is unregulated by the US Environmental Protection Agency. The EPA may regulate safety guidelines for water utilities all over the country but it is already beyond their control as to what happens to the water upon leaving the treatment facilities. Pollutants will gain entry to your water system through deteriorating or cracked pipelines, home plumbing fixtures and lead solder. 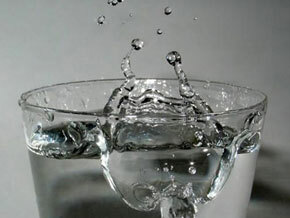 Check the website of the National Tap Water Quality Database. Simply key in your zip code and Water Service Company and the database will provide vital information about the contaminants found in your tap water and the health problems that may result. To illustrate, suppose you are living in Stockton, California with Stockton East Water District as your water service company. The National Tap Water Quality Database will show that Stockton’s tap water supply contains 11 chemicals that exceeded the health guidelines and 2 chemicals that went beyond the EPA’s safety standards. Overall, there are 22 chemicals found in Stockton’s water system, with high concentration of arsenic and manganese due to the corrosion of natural deposits, industrial use and pesticides in farming. Now that you already know the harmful substances present in your tap water, choose the water filtering system that eliminates these substances. Using the example above, choose the type of water filter that effectively removes arsenic in drinking water. There are good arsenic water filters to choose from which may come in the form of pitcher filter, faucet-mounted filter, countertop filter, under sink and whole house system. Aside from arsenic, the filter must remove other contaminants and chemicals as well. So, opt for a water filter that utilizes the combination of ion exchange, granular carbon block and micron filtration for the finest filtration. Best-Selling Brands of Water Filtering Systems in the U.S.
Don’t undermine what’s in your tap water. Check the National Tap Water Quality Database now and take the necessary action to remove harmful substances in your drinking water.